Recording vocals in a home studio is crucial to how your mix will sound. 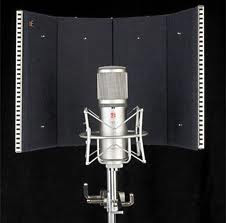 Many home studios do not have a sound proof booth which is not a bad thing as long as you are not in a room with too much echo. The most common thing people do is record vocals too loud or too soft. Too loud and you get a distorted sound on your recording and too soft and you have no head room in your vocal mix. Now you can use a compressor in your chain right after the mic pre-amp but a good studio engineer will know how to adjust the volume accordingly depending on the vocalist you are working with. Before you even start recording have your vocalist sing or rap into the microphone like they were recording. This way you can gauge how loud or soft they are on the mic and you can set your volume that way. Try and get your vocalist to not move or jump around too much. Make sure the person is not right up on the mic and always use a pop filter to get rid of "plosives" and "spitty" type sounds. Now a big question is "should I compress the vocals before or after they are recorded?". My suggestion would be to record all your vocals dry and add compression and any other effects after. The reason for this is because you cannot undo what is already recorded. Artists and bands be sure to submit your music to these music networks.